Reply: Purgatory is biblical. 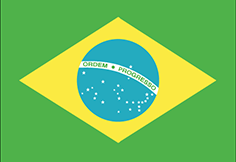 It comes from latin; Purgationem Peccatorum. 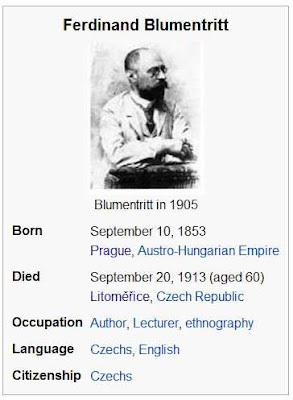 By merely looking at the verse and using 5% of the 100% capacity of our brains to discern and understand things, you can easily notice that the person who posted his defense in favor of the Catholic Church’s doctrine of purgatory is inane, insane! Does the Latin term “purgationem peccatorum” mean purgatory? Translated into English, it is “purged our sins,” not purgatory! And who purged our sins? According to the verse, “He” referring to Christ, purged our sins. Aren’t you implying now, whoever you are, that Christ is purgatory? Oh, come on! And notice the verse that says, after purging our sins “He sat down on the right hand of the Majesty on high.” Will that imply now that purgatory is in the throne of God? Come on! Catholic doctrine defines purgatory as a place between heaven and hell so it cannot be sitting in the throne of God. 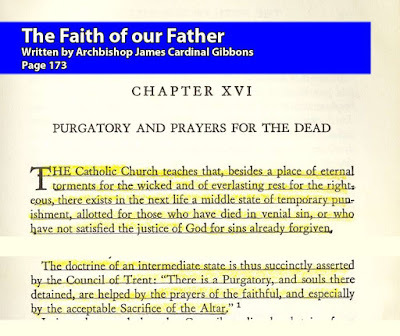 Take note that it is the Council of Trent of the Catholic Church, not the Bible, that asserted the doctrine of purgatory! 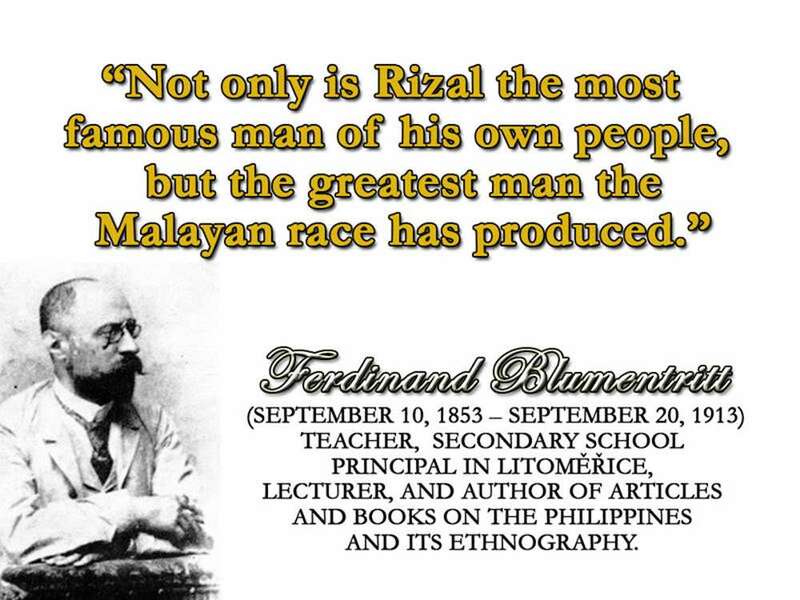 The greatest of the Malayan race, Dr. Jose Protacio Rizal, in his famous book, Noli Me Tangere, said categorically after reading the whole Bible that there is no purgatory in the Bible! 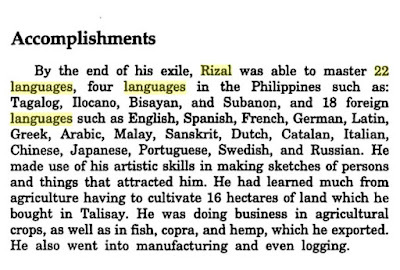 Mind you, Dr. Rizal speaks more than 22 languages. 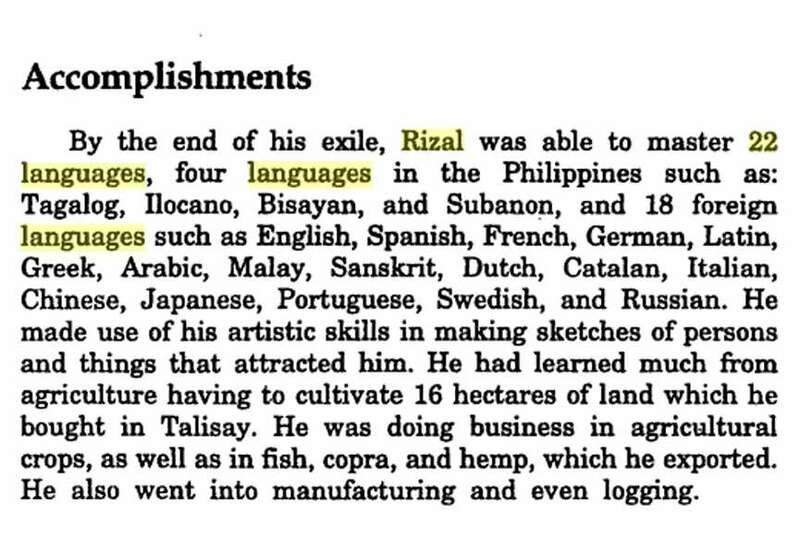 He surely is knowledgeable of Latin and Spanish. 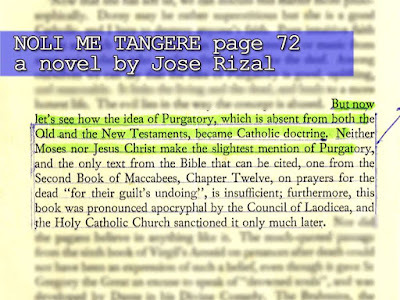 And he said purgatory is not in the Bible as Rizal is neither inane nor insane. The Catholic doctrine of purgatory is not founded on Biblical teachings. The alleged mention of praying for the dead in the book of Maccabeus, (this book is not part of the Bible until the Catholic Church included it in 1546) does not in any manner imply that there is a purgatory! Praying for the dead was never a part of the Christian doctrine! The Lord Jesus Christ, or anyone of His apostles, never taught any idea of it! I have applied all this to myself and Apol’los for your benefit, brethren, that you may learn by us not to go beyond what is written, that none of you may be puffed up in favor of one against another. The word purgatory cannot be found in the writings of the apostles nor have the slightest idea of it! If Christians are to be purged from their sins, it has to be in this life and not in the hereafter. It is through the atoning power of the death of Christ that we are purged from our sins, not in purgatory. “and with his stripes we are healed” not by purgatory! The sufferings of Christ and the offering of His body is sufficient to purge our sins! Nobody else can eloquently explain the asinine doctrine of the RCC regarding purgatory, the way Bro.Eli exposes it with historical and evident facts. As a religious Catholic for 36 years, I have always asked my priest friends what the purgatory does. Most of them replied injudiciously. They said that purgatory cleanses your sin prior to entering heaven. So I asked them the next question.  At what point would purgatory give up and say I cannot clean you anymore cause your sins stained tenaciously? Their reply were farcical. They said, no sin cannot be cleaned in the purgatory. It's just a matter of how long your soul will stay up there. In that case I said, who else would go hell if all sins are forgiven. But the truth sometimes find its exit from the very bottleneck that conceals it. 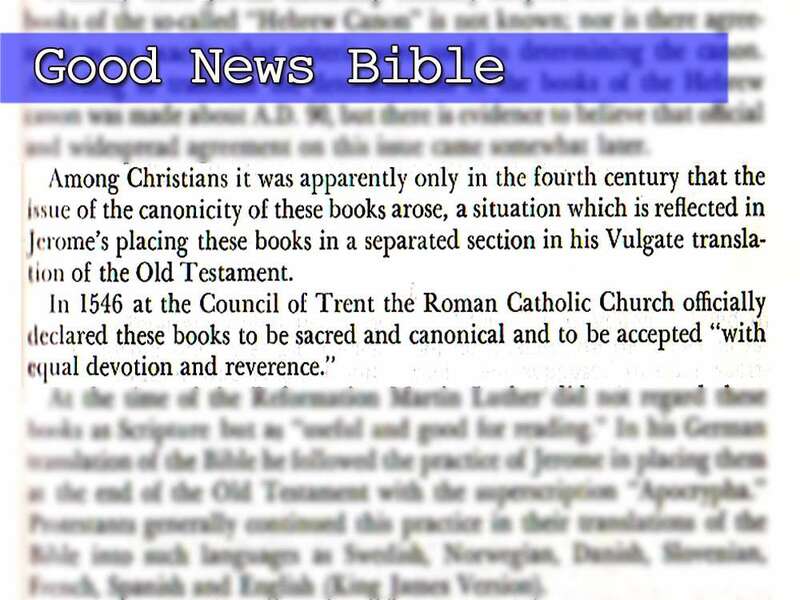 In fact their very own Pope denounced their own doctrine. This blog is a must read. It will open your eyes and save your soul. 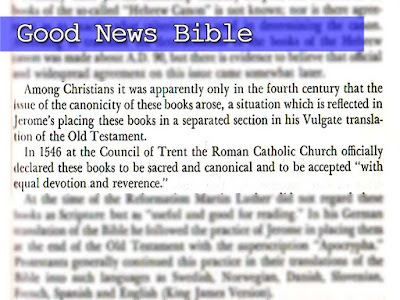 Hope members of the catholic church will read this good blog! And you loved to quote Rizal. Did he believe in the deity of Christ? 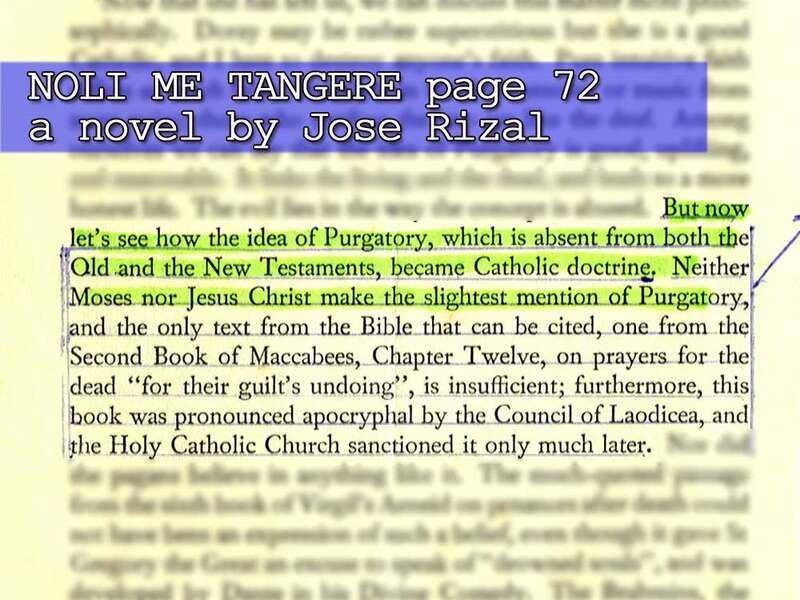 The catholic doctrines of the existence of purgatory and praying for the dead are not biblical because such teachings are not written in the Holy Bible. Any teachings, particularly made and invented by men and not written in the Bible, are not of God. Let us forget purgatory and praying for the dead because they are not of God. Thanks be to God! Consider this.... is it true that your commnader (the pope) surrendered? Purgatory Can Never Be Found In The Entire Translation Of The Bible, Period!! Thanks be to God for the enlightenment and the pure Christian doctrines! If we claimed that we are learned people, we will not believe the catholic doctrine of purgatory and prayer for the dead so that their souls will be lifted from purgatory and go to heaven. It is not a sin to ask your priest my catholic friends if they themselves believed on purgatory? or they are just pretending to believe for monetary purposes. Specially during November, many masses for the dead is accommodated by them. It is high time to be civilized in terms of religious knowledge. Not just claiming that we are followers of Lord Jesus Christ but we have not listen to His words nor read it from the Bible. Lets believe the Bible and not the sugar-coated doctrines of priests that will surely lead us to damnation. 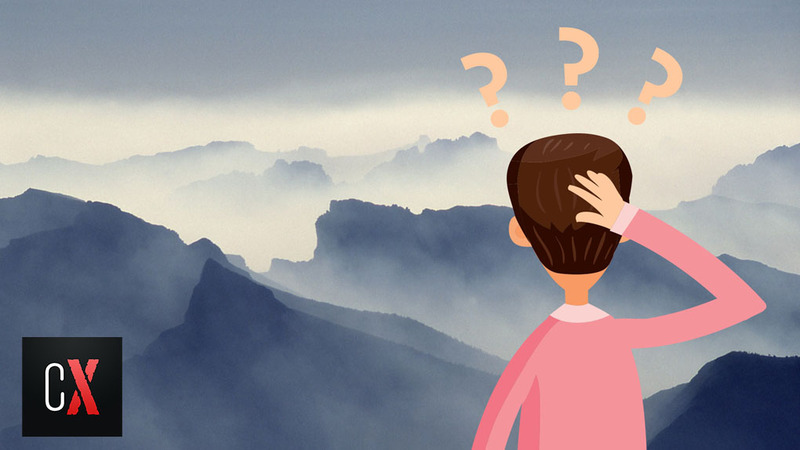 It is high time to entertain our doubts to our old-age religion that we do not even know how we were affiliated with them because we were baptized when we are babies then. A Million Thanks to GOD for this Blogs, it’s interesting and enlighten.